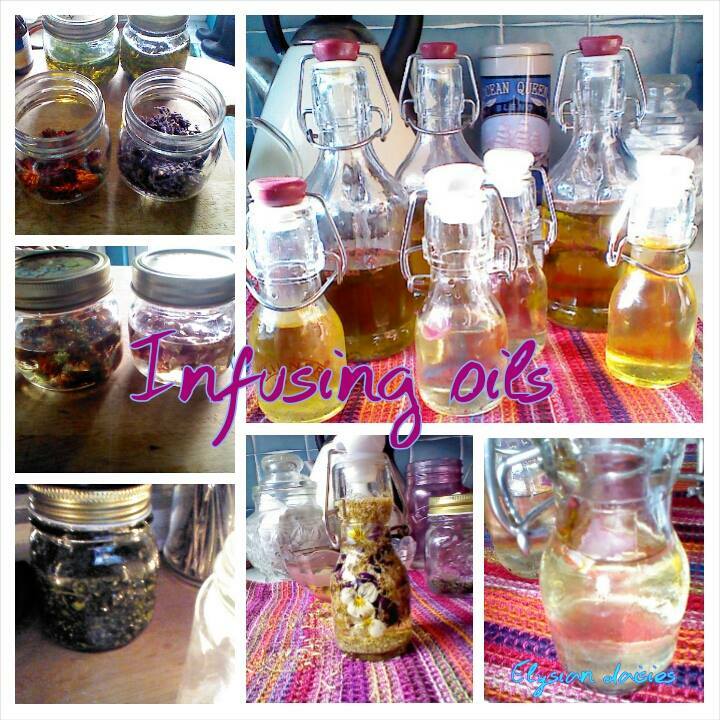 You can use dry or fresh ingredients for infusing oils and choose oils with varying properties too for your end use. For culinary use I used cold pressed olive oil. If you use dried herbs your oil will last longer, fresh oils tend be more vibrant and stronger, or may infuse more quickly. 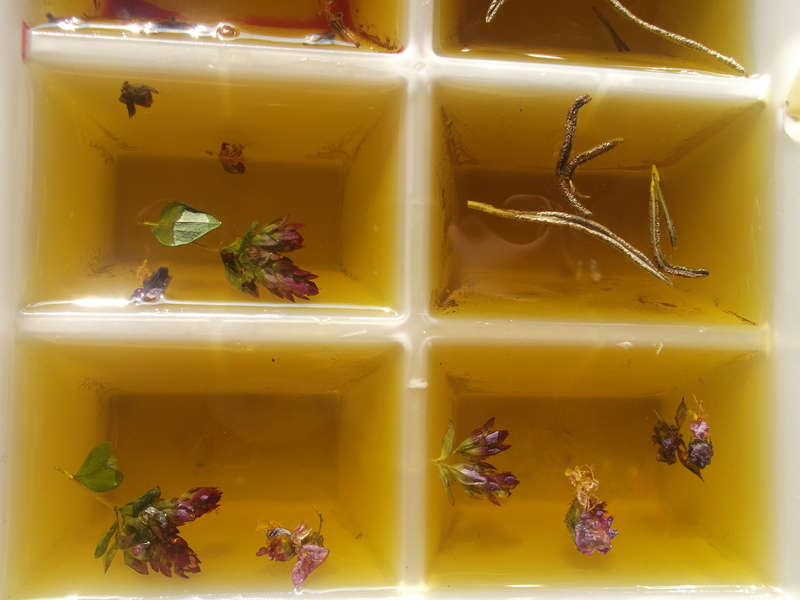 You need to wash and carefully dry the herbs you want to use (it is better to avoid water in your oil!) -you will do this before drying herbs if you’re using dried ones. 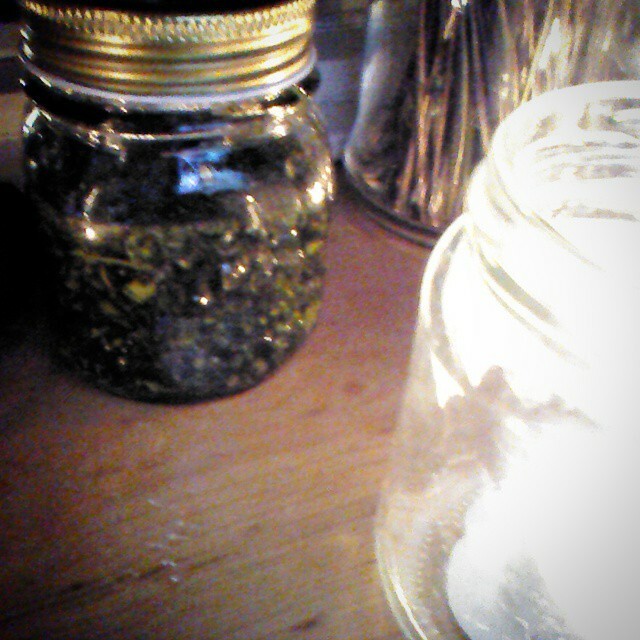 1.Add an amount of the ingredient the bottom of a jar and add enough oil to cover and then double over. 2.Leave the jar in a sunny spot on a windowsill, giving it a swirl every now and then, check it every day or two to see when it is agreeable for you. The longer you leave it the stronger the flavour as well as the aroma. It can be anything from a couple of days to a week (for dry ingredients) An oil with fresh ingredients will need using within a couple of days. 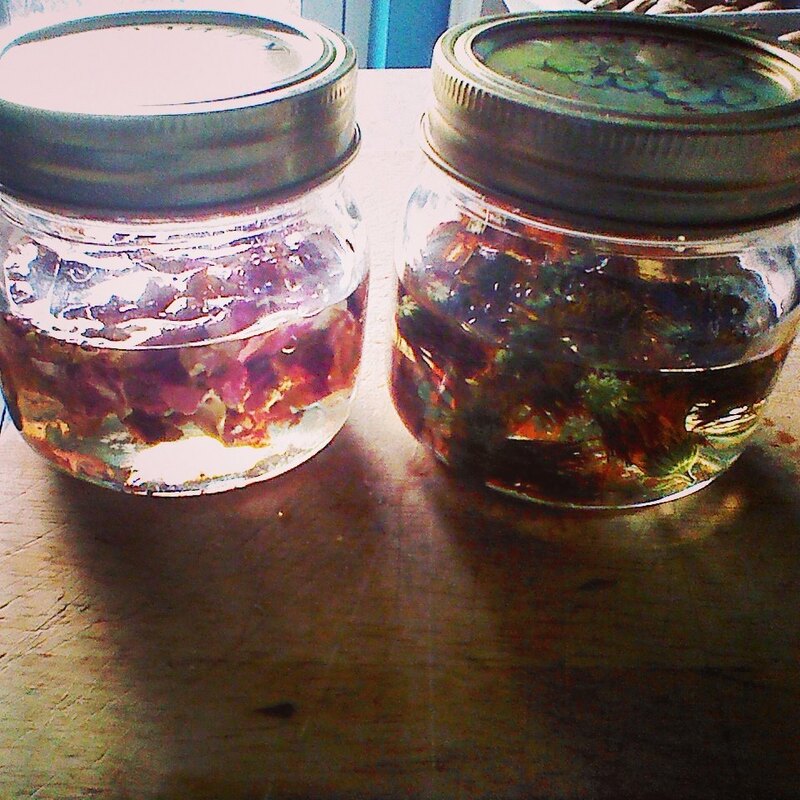 3.Strain the oil into a ready bottle or jar for use. 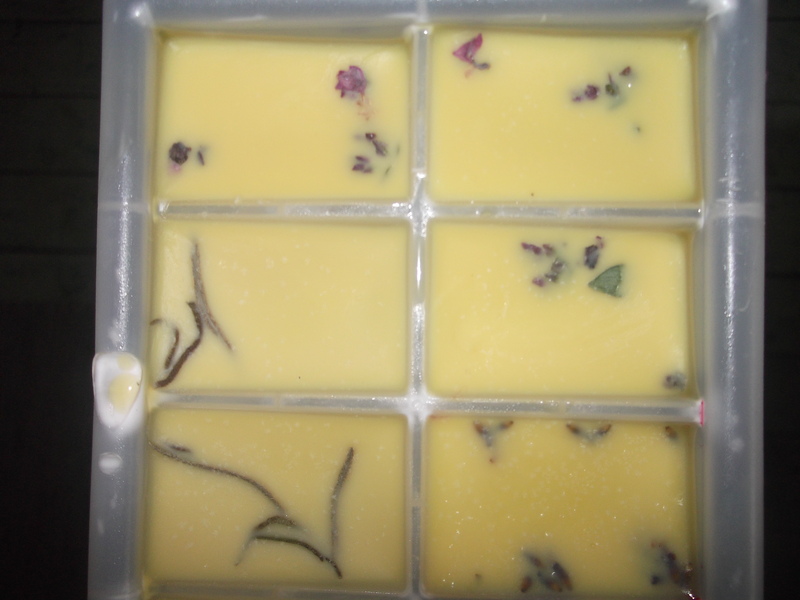 Or you may like to pour into ice cube trays for a longer shelf-life -looks very pretty if you add some oregano or basil flowers!